This last weekend Podwika/Laurx 8.0 40+ Mixed Doubles Team made it to sectionals (Midwest Mixed 40 and over 8.0) at Ft Wayne Indiana. 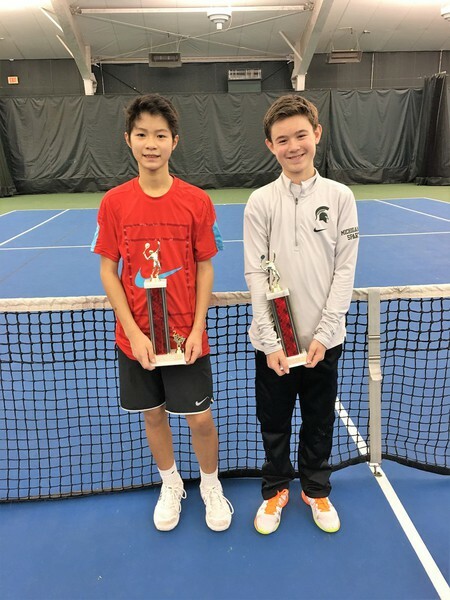 They were scheduled to play 4 matches and ended up tying for first place after 4 matches but lost due to the head to head match up against Ohio. Great fun and great tennis. They all got Sportsmanship awards (they can be given by any player to another player). The captains are Kevin Podwika and John Laurx. 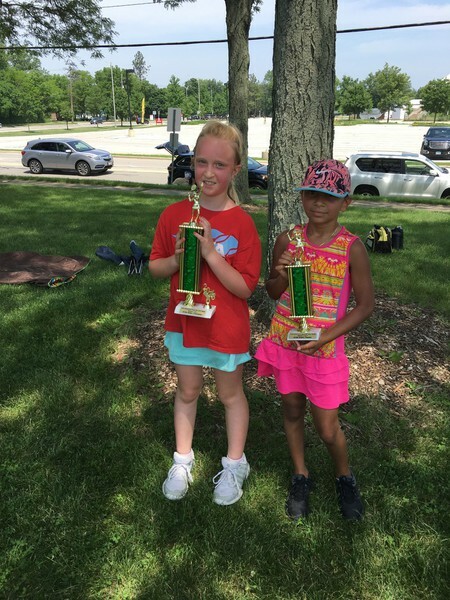 Congratulations to the Champions, Finalist and participants in NTC's USTA Last Fling Open! 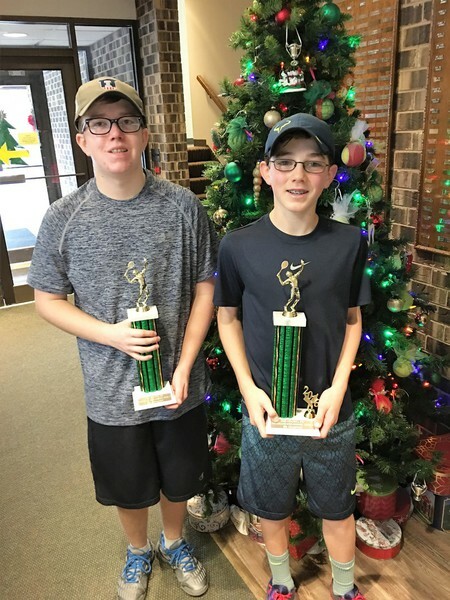 NTC's players win at All-City Tournament! Sat 6/16 - Sun 6/17 NTC hosted the USTA June Classic One Day Plus and a Green Ball and Orange Ball Tournament. Congrats to all of our participants, Finalists and Champions! round 64 in the 2018 French Open! She defeated Viktorija Golubic in straight sets, 6-4 6-4.The announcers commented that she has the best kick serve (as did Navratilova previously). Her next match is May 30th 4am against Madison Keys who is currenlty ranked 13th. Read about Caoline in the Chicago Tribune HERE. Thank you to all of our staff, members and their guests for making our Ladies' Day Event on Friday, May 18th such a great success!! Your attendance will serve to aid those stricken by ALS through the ALS Worldwide Organization. May Classic One Day Plus held on 5/18-5/19/2018. Great job everyone!! 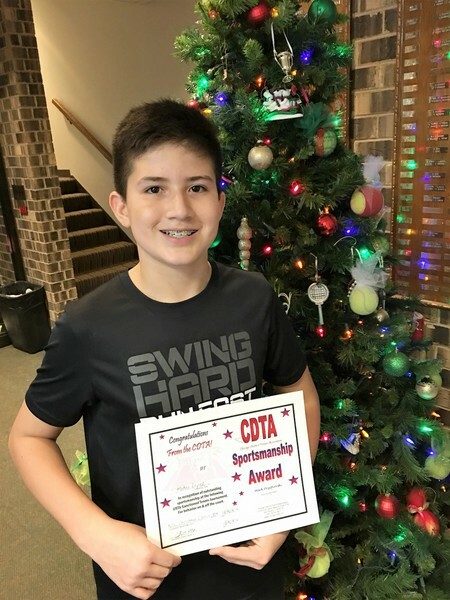 Congrats on this accomplishment and good luck advancing! 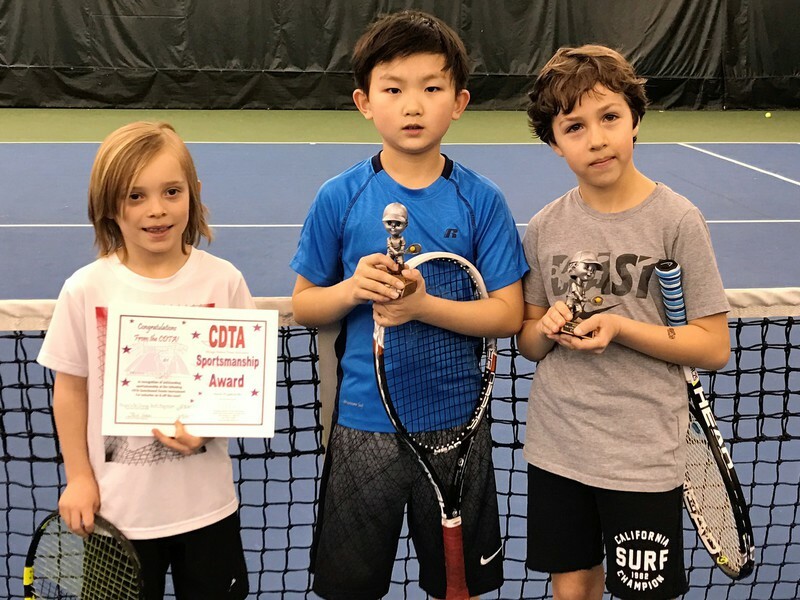 During spring break week on March 26th and 27th, NTC hosted a tennis tournament for orange ball (10 & under), green ball (10 & under), and yellow ball (11+) kids. 46 players participated in this fun tournament! We saw some great competition! Please see some of the the pictures from our events below. 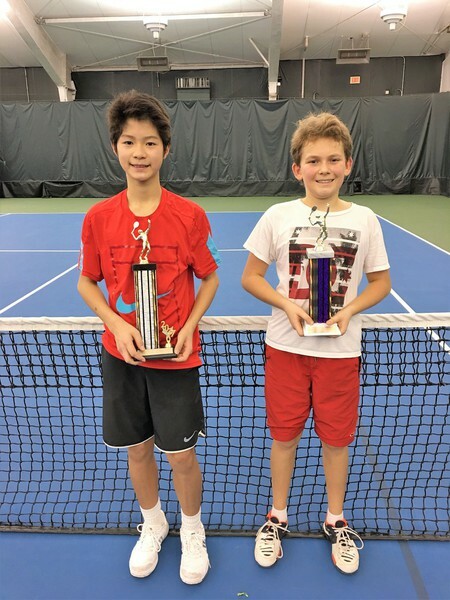 NTC was proud to host over 130 players for various USTA Junior Tournaments. This was an amazing turn out and we saw some great matches! Saturday night fun at NTC! Members brought their guest out to NTC to celebrate friendship with the up and down the river doubles, food and drinks to follow. Good times were had by all! 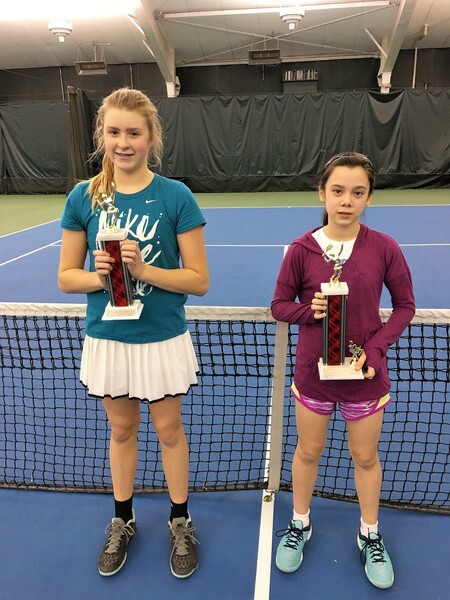 Congrats to NTC's Maria Goheen and her doubles partner Liz Stefancic for making it to State this past weekend! "Stefancic and Goheen have made a strong case for a top-four seed at state. In 44 sets, they have lost a total of 10 games and never more than two games in any one match." You can read the entire article about their acheivements HERE. Congrats to NTC's Grace Hahn and her doubles partner for qualifying for State! Way to go girls! 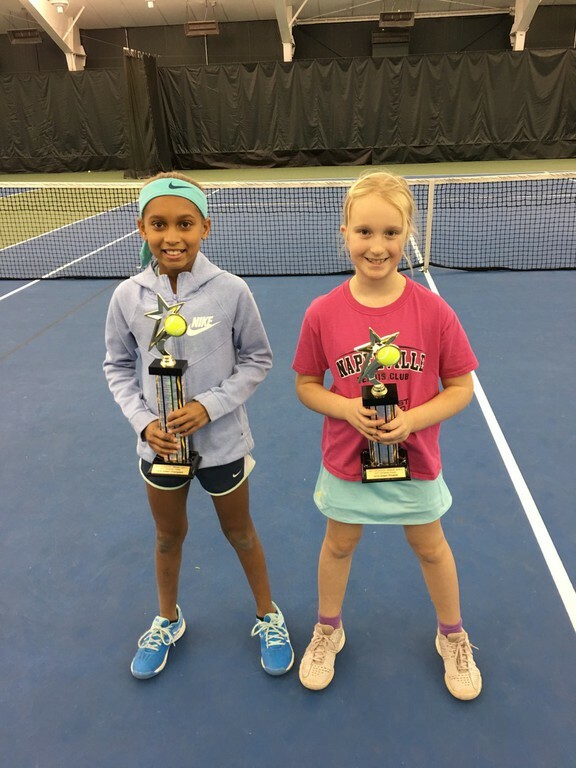 NTC is proud of our Junior Excellence World Class players who competed in the USTA National Level 3 held at the Gainey Tennis Center in Grand Rapids, Michigan. Four players from our Junior Excellence Program qualified for this tournament. 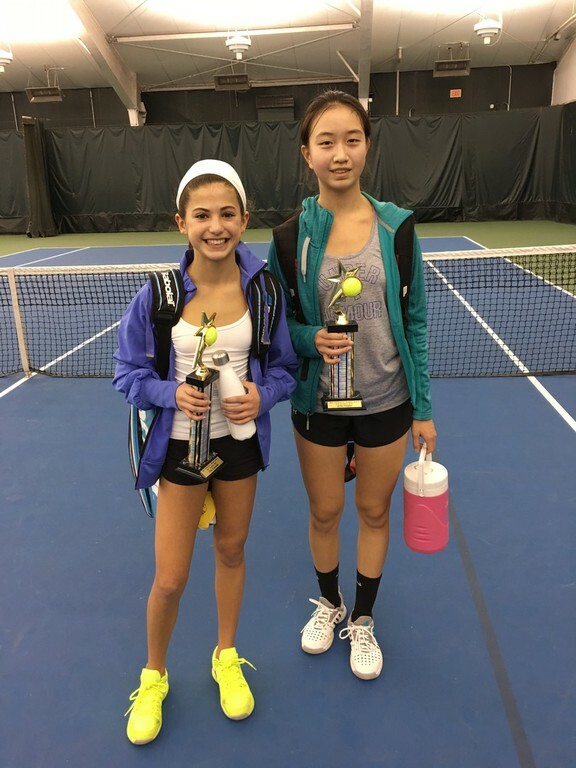 G16s: Jacquelyn Qi (picitured left) and Jacqueline Stasny, both of whom competed in the Girls’ 16 singles and doubles draws. 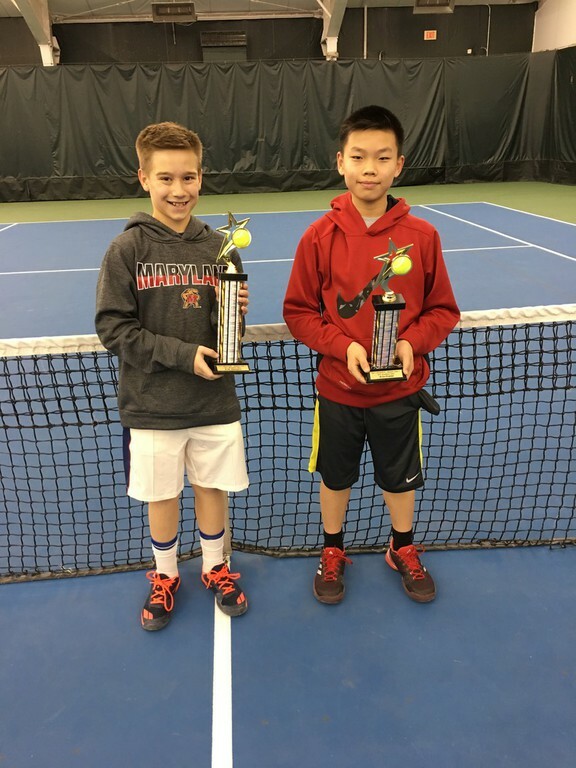 B16s: Eli Gordon and Joseph Daw, who were in action for the Boys’ 16 singles and doubles draws. 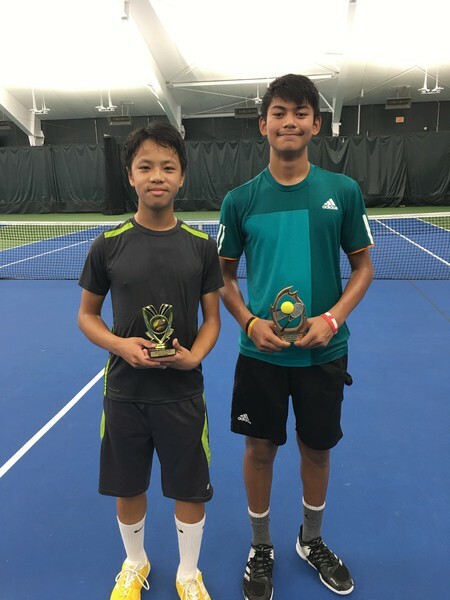 Joseph Daw competed hard and eventually lost to Shawn Berdia from Virginia who was a finalist in the backdraw. Eli Gordon won two rounds in the main, then won the Gold draw, consisting of the four quarter finalist losers doing a separate playoff. Jacqueline Stasny fought hard in her main draw match, losing 3-6, 4-6 to a tough player from Ohio. 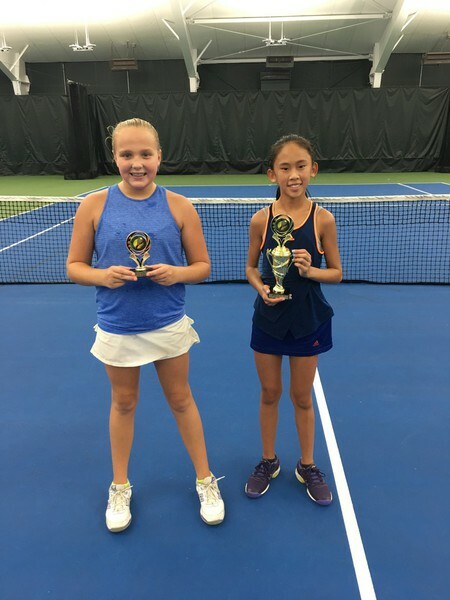 Jacquelyne Qi won a round in the main, and then partnered with Jacqueline Stasny for doubles, where they won a round in the doubles consolation. 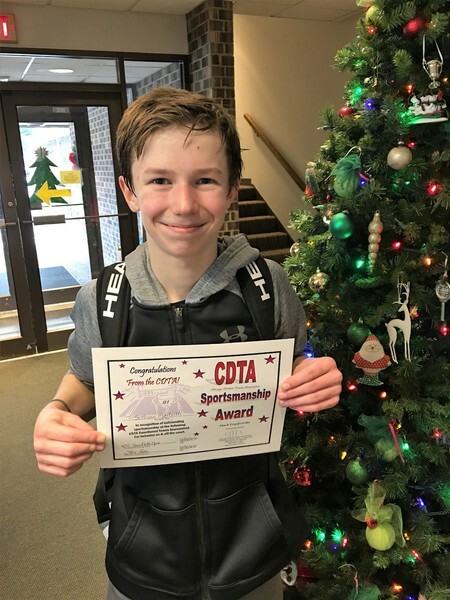 Not only do these players represent how their hard work is paying off, but they also spark the hopes and dreams of the club’s newer players who look up to their example of healthy and competitive determination. We applaud the efforts of these juniors, their coaches, and their supportive families, who together continue to produce impressive results! We look forward to the continued success of these players and their talented Junior Excellence program participants! Way to go! NTC is proud to be home for Captain Kevin Podwika's Mixed 8.0 USTA Team. 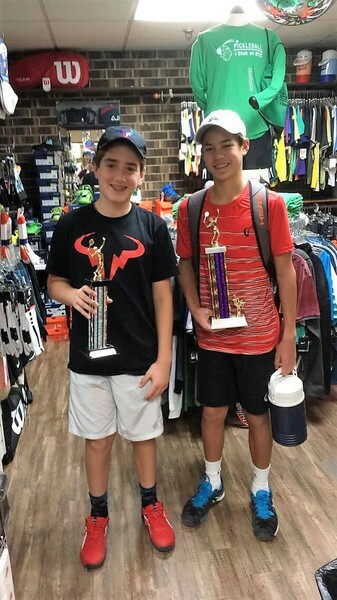 They fought hard to make it to last weekends Regional USTA Tournament. They played lots of close matches and had a great time! It was such an exciting experience for the team. 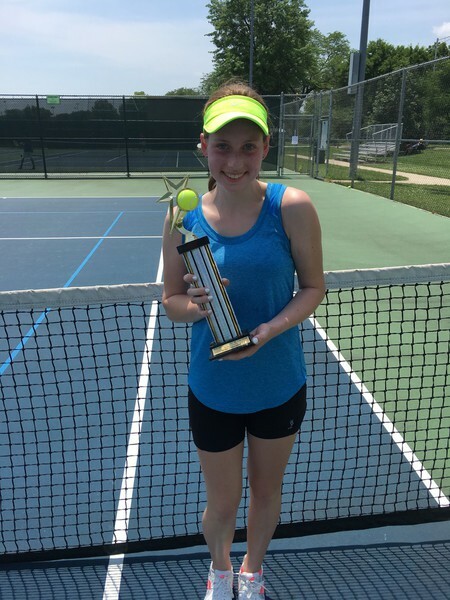 Congrats to Captian Kathy Bianchi and her USTA team out of NTC for making it to State! Thank you to all of the participants and spectators in our recent September events. We enjoyed some great tennis and witnessed many example of good sportsmanship. Our next event is October 20th, when we will host G14s and 10U Orange Ball. Register online via TennisLink using tourney ID# 850049017. Thank you again and good luck in your future competition. Great Start to the Indoor Travel Team Season! The indoor travel team league seasons have started! The NITTL League kicked off with 12 of our 13 teams having matches on the first week! 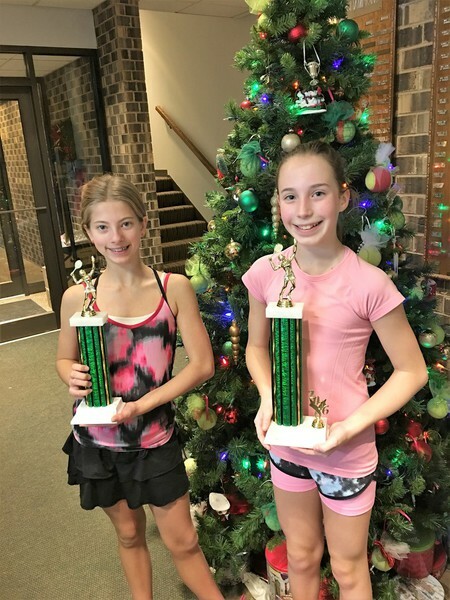 The NITTL league offers women’s doubles competition in one of 13, yes Naperville has 13 teams, that span from level 2.5 to 4.9! The Jack Barry Season was kicked off with several welcome to Barry events which consisted of an hour drill with pros, an hour on court with team mates followed by food and festivities in the lounge. It was a great way to meet team mates and get ready for the new season whose matches start September 23rd. Cheers to great team camaraderie! What does this mean to our other members? You may be missing out on some great competition! We offer levels 3.5, 4.0 and 4.5 to both men and women in the Jack Barry weekend league which has singles and doubles competition. There are different levels of commitment available to you. Come join in on the fun! On Sunday August 27th NTC hosted our first Court & Kitchen Challenge, with the key ingredient of the Kitchen Challenge being Watermelon! 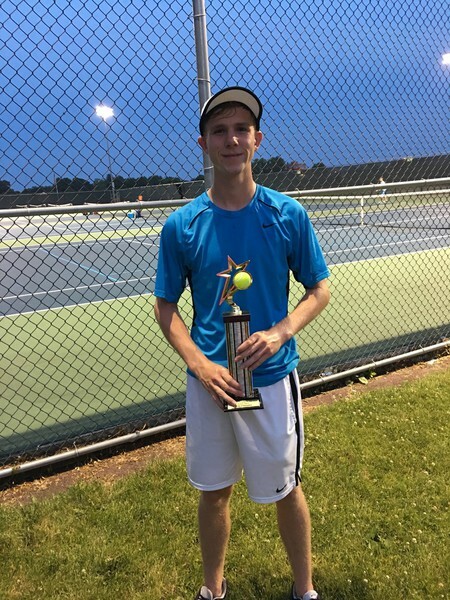 The Four Tennis Teams who participated had 2 ways to win. The first challenge took place on the court with a fixed partner doubles competition. Each team’s match wins for each of the three rounds counted towards the teams’ point accrual. Even though everyone thought it couldn't happen and wouldn't happen, the teams managed to tie with 6 points per team! That’s a great competition! Next was the kitchen challenge. Each team brought a dish to be judged and shared, with the key ingredient being watermelon. There were 3 blind judges to pick the best recipe. The competition was tough here as well with entrants from categories of: appetizers, salads, desserts and drinks. The winning dish was presented by the team of Lani Lyons, Lisa McAlpine, Christy McGovern, and Jen Nagle. Each team member received a $25 gift card to Angeli's. Winning Watermelon Caprese Salad Recipe Ingredients: Watermelon cut into circles, topped with fresh mozzarella cheese, fresh basil, walnuts and a strawberry balsamic vinegar. It was fantastic! Everyone stayed to celebrate with their teams and fellow competitors and enjoyed samples of the watermelon dishes and a great buffet (thanks to Angeli's for catering)! It was great competition, company and a fun time was had by all! Guest Tennis Pro Norman McCarthy, Wilson Sports, Dunlop, Head, Kswiss, NTC employees for donating their time and several auction items, all of our anonymous donors, Pepe's Mexican Restaurant for donating the dinner buffet and the members and guests who participated in this event! 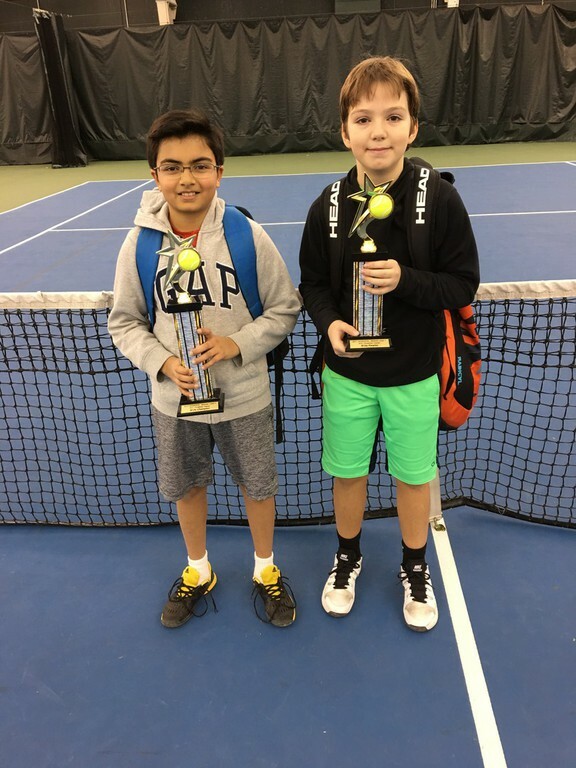 Naperville Tennis Club hosted our March USTA Orange Ball Progression tournament on Saturday, March 18, 2017. 8 boys and 13 girls participated in the event. NTC's next event is on March 31. Register online at www.usta.com. For each division (orange and green), a player must accumulate a combination of 20 stars and/or trophies in order to 'progress' to the next level (ball color). 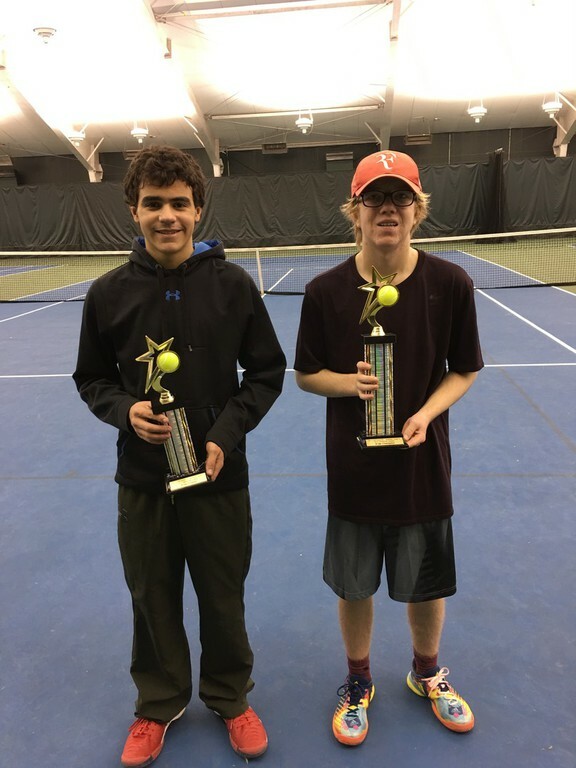 Congrats to all the participants and spectators for the last tourney of winter break: The NTC January Classic on January 3-4, 2017. 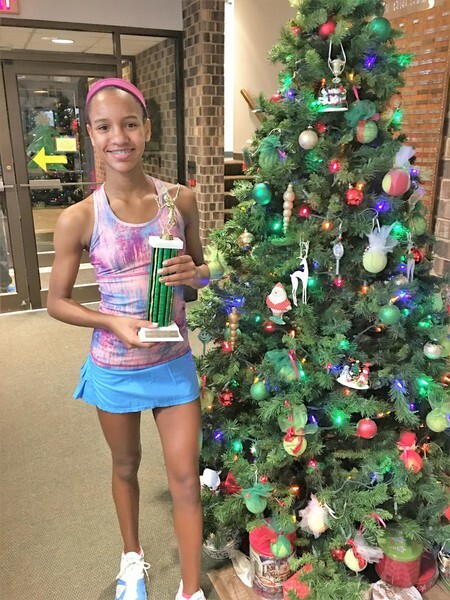 The 2016 NTC Snowflake Open held on 12/28-12/29 was a great event! Thank you to the players and spectators for helping us wrap up the year! Congrats to the NTC Christmas Classic participants and spectators for making the tourney a great success! 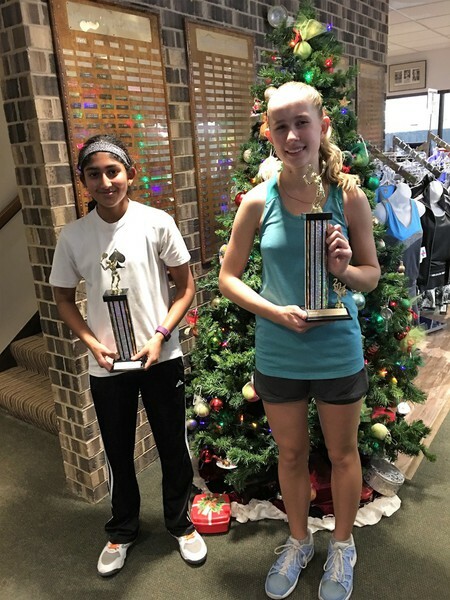 G16s: Gerda Jucys (Champion), Kavya Rachapalli (Finalist). Great job everyone! Thank you for playing at NTC! 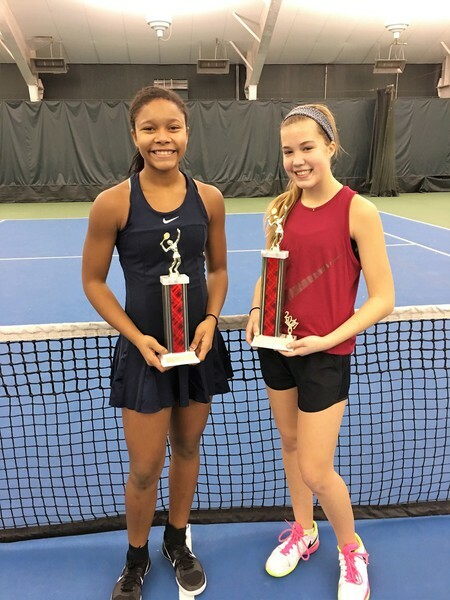 A big congrats to the players and spectators who attended our 2016 USTA/CDTA NTC Solstice Slam on December 17 and 18. Everyone demonstrated great tennis! 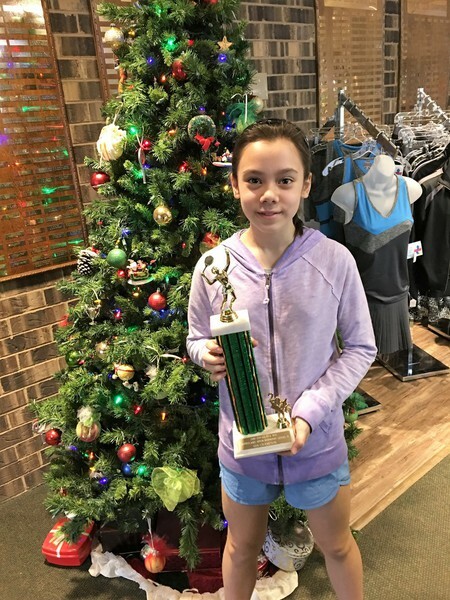 On December 13th Naperville Tennis Club's annual Raise a Racquet for Hesed House event was a huge success with 40+ tennis and pickleball players coming out for some free play. The donations brought to the event will be most appreciated and useful in aiding the Hesed House in their mission to feed the hungry, clothe the naked, shelter the homeless and give people the chance to hope again. Donations will be accepted through Friday, December 16th. Thank you again to all who participated! 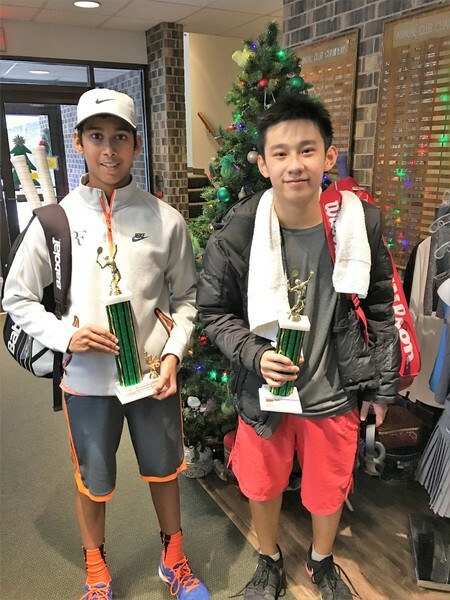 Naperville Tennis Club hosted over 20 players in out last USTA Green and Orange Ball Progression tournament of 2016 this past weekend, December 2-3. NTC's next event is on Januar 2/3. Register online at www.usta.com. 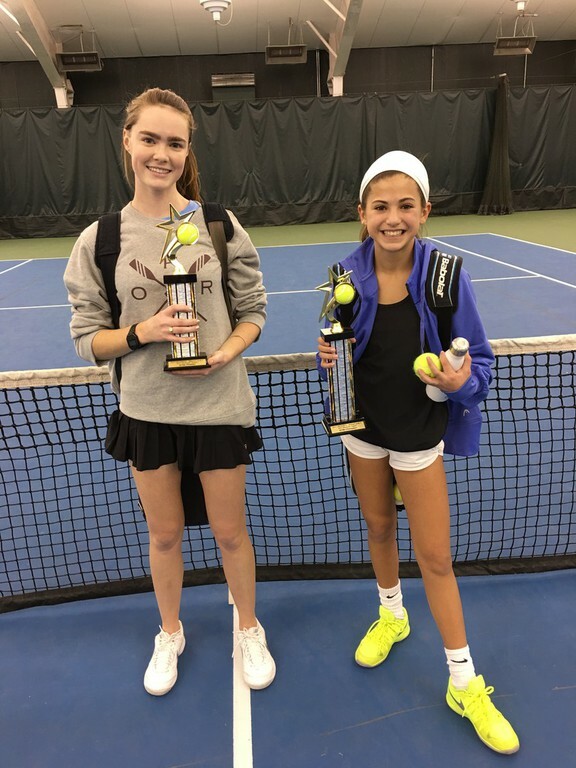 Naperville Tennis Club hosted a successful and well attended USTA Green and Orange Ball Progression tournament this past weekend, November 18-20. 16 players competed in the green ball events and over 20 in the Orange Ball event. We had players from all over the Chicagoland area and Wisconsin competing. NTC's next 10U event is December 2-4 This is our last 10U green and orange tourney of the year. Register online at www.usta.com. 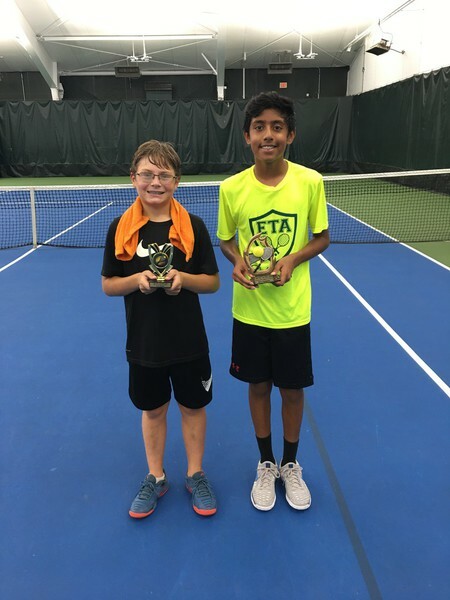 Naperville Tennis Club hosted our September USTA Green and Orange Ball Progression tournament this past weekend, Sept. 23-24, with over 20 kids participating! NTC's has 3 more tourneys this year, Oct 21-22, Nov, 18-19, Dec. 2-3. Register online at www.usta.com. 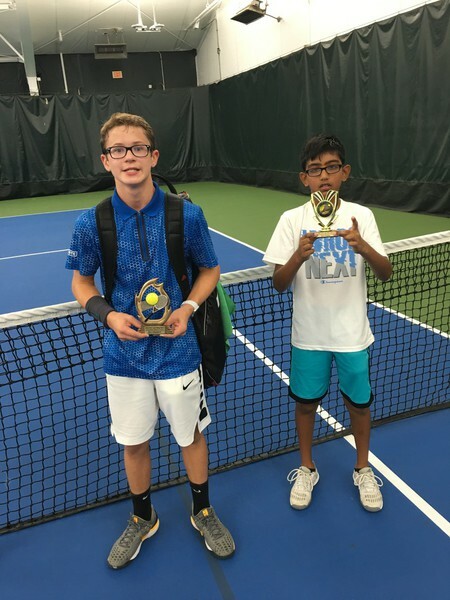 Congrats to the USTA Last Fling Open Champs, Finalists, and all participants. 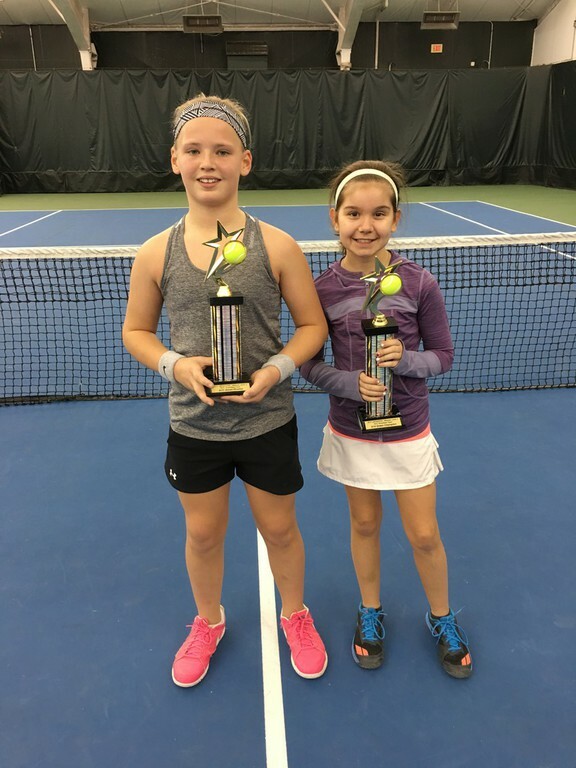 We had a great weekend of tennis! 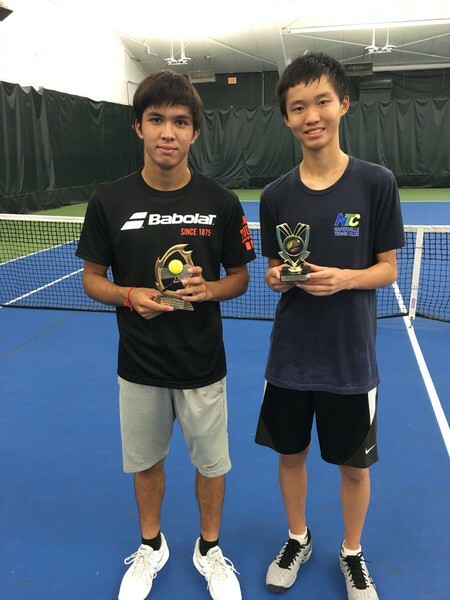 B18s, Christopher Veltkamp (Champion), Bradley Yu (Finalist). 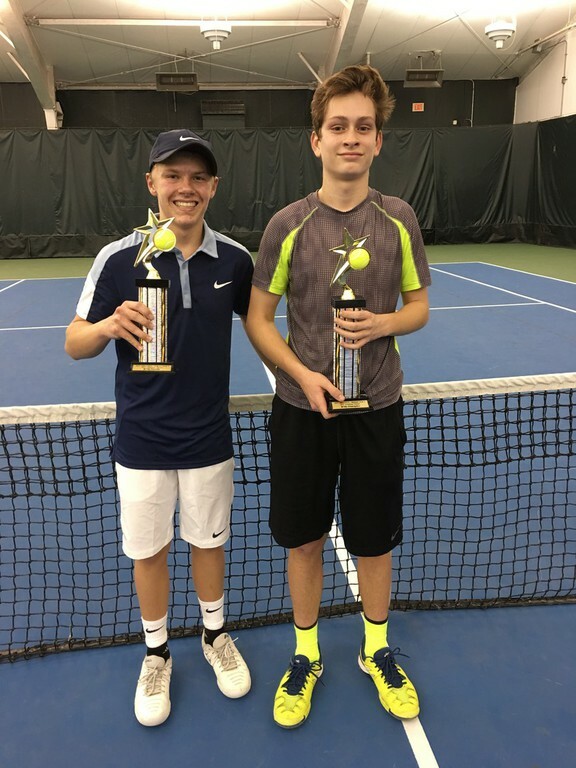 B16s, Joris Bizys (Champion), Alexander Veltkamp (Finalist). 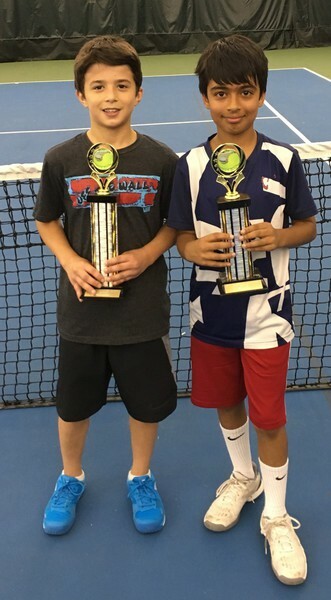 B12s, Amaye Shyani (Champion), Adam Kane (Finalist). 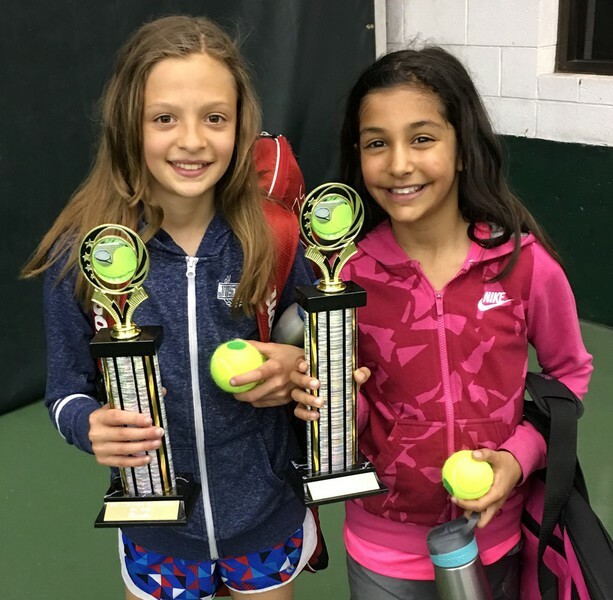 G12s, Alina Shyani (Champion), Michelle Kostadinova (Finalist). Sportsmanship Awards: Nathra Ramrajvel, Uju Kim, and Julian Cohen. See you for the next event!! 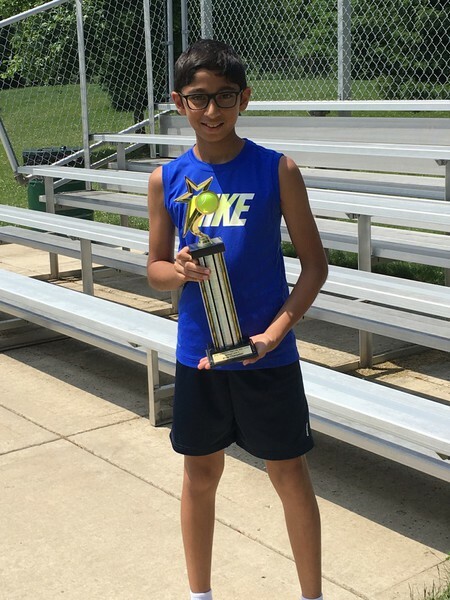 Naperville Tennis Club hosted our last outdoor USTA Orange Ball Progression tournament this past weekend, August 20. The tourney was moved indoors to NTC due to rain. NTC's next event is indoors on Sept 23-24 . Register online at www.usta.com. The 2015-16 iCompete season-ending Championship results are in!!! These were some great matches!! Congrats to all the Championship participants. The new season starts this weekend and everyone is at zero points, so start earning!! New dates being added online throughout the season! 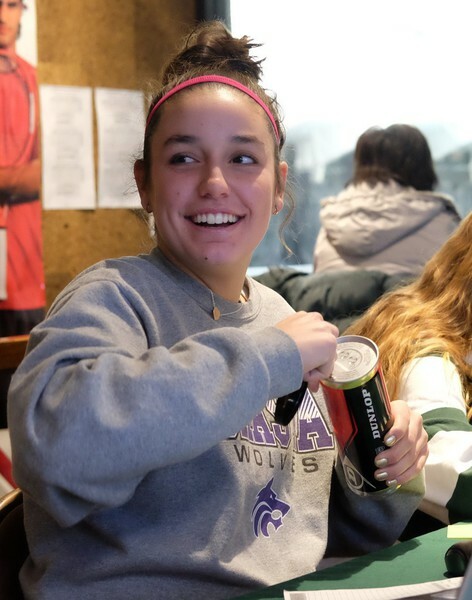 Last week we were thrilled to host Benet Alumn, Leah Tzakis's "Senior Tennis Connect" program which provided an amazing tennis experience for a special group of players. For more information on her program check out the website. This is one amazing young lady and her vision, compassion, and impact are truly appreciated by all who were a part of the fun. 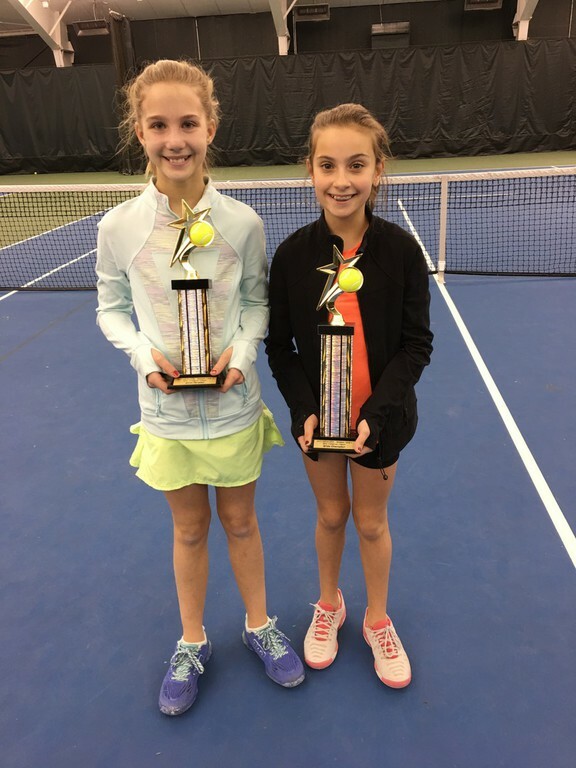 Congrats to NTC's 12U Team Lightning who took a 4th place finish at the USTA Midwest Sectional JTT Championships! Coach Mitchell and Coach Hugh, along with all of the NTC staff, are so very proud of your accomplishment! Way to go: Kate Trifilio, David Richardson, Avery Lazaro, Callie Genovese, Luke Fernandez, and Rohith Koneru! Your season was simple awesome and we look forward to your continued success! 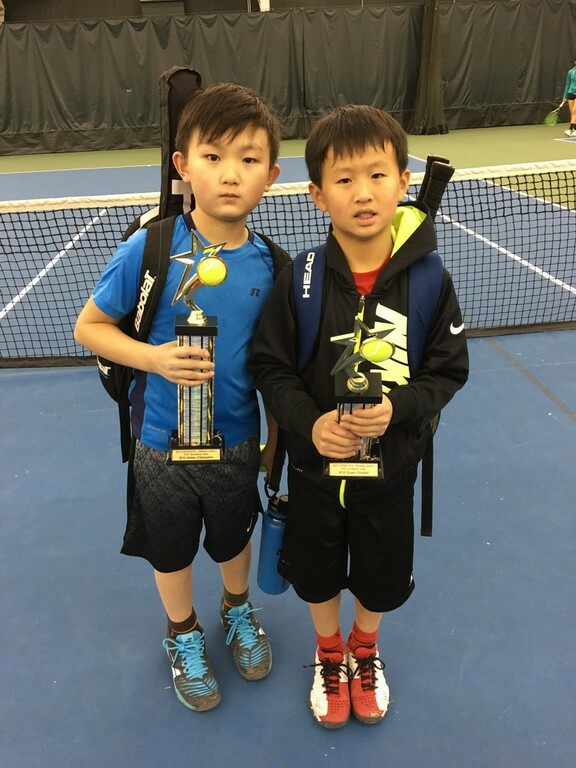 Congrats to NTC's 10U Green Dot Advanced Team finishing 6th place at USTA Midwest Sectional JTT Championships. Coach Sue and all NTC's staff are so proud of your efforts! 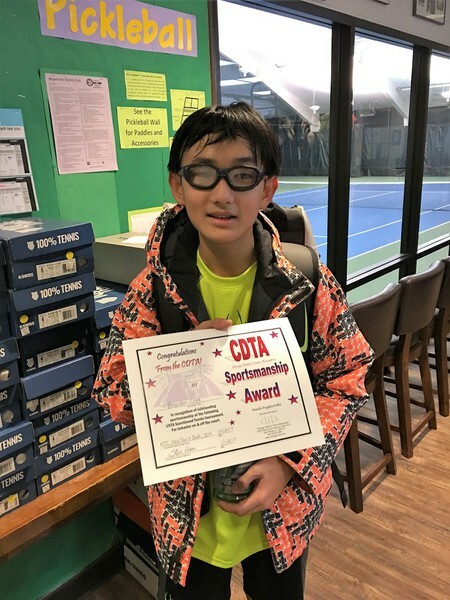 Way to go: Rowan Ing, Gabby Lee, Nathan Lee, Evan Lin, Megan Trifilio, Abigail Gambla! 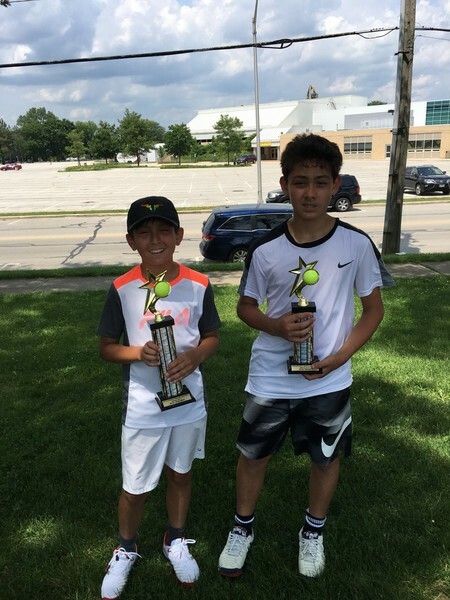 Congrats to NTC's USTA JTT 14s sqaud for their 2nd place finish at the Chicago District Championships! Way to go team! We are proud of your hard work all season! 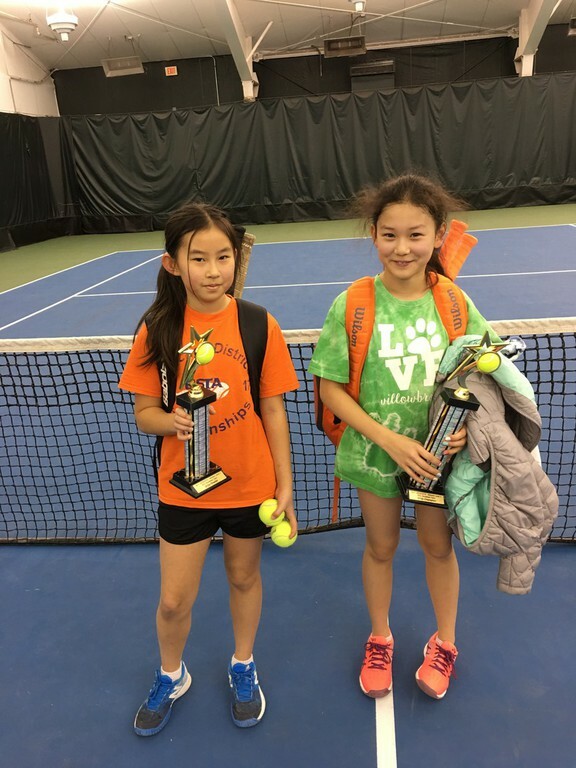 Naperville Tennis Club hosted our 4th USTA Green and Orange Ball Progression tournament of 2016 this past weekend, April 22-24. Nearly 30 athletes competed in 4 events. NTC will be holding one tournament per month in 2016. Our next event is May 6-8. Register online at www.usta.com. 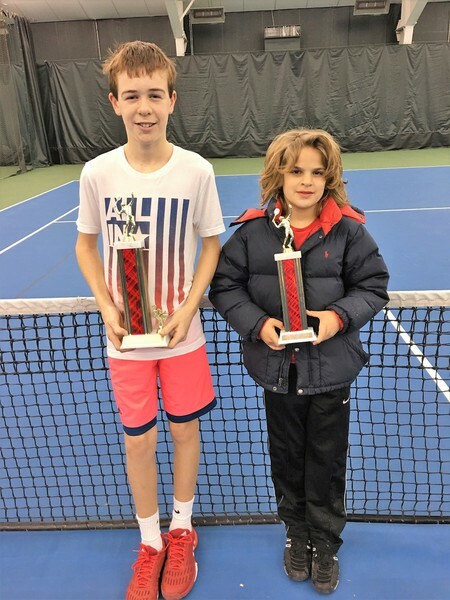 Naperville Tennis Club played in two away USTA Junior Team Tennis matches on Saturday, March 19. We are now finished for March and ready for April and May matches in the West Suburban League. 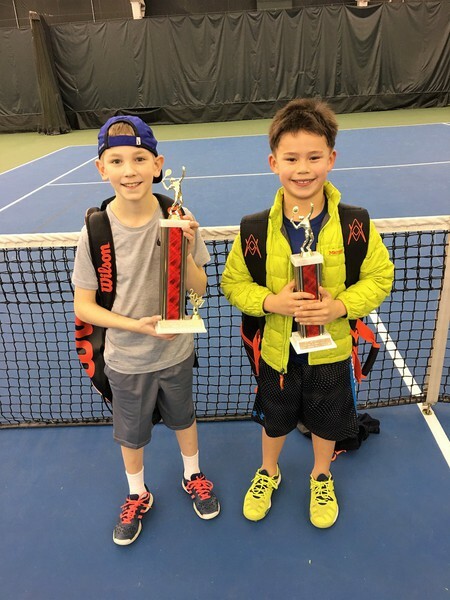 Naperville Tennis Club hosted another USTA Junior Team Tennis fun-filled Saturday evening, March 5. We hosted over 50 players in many different divisions. 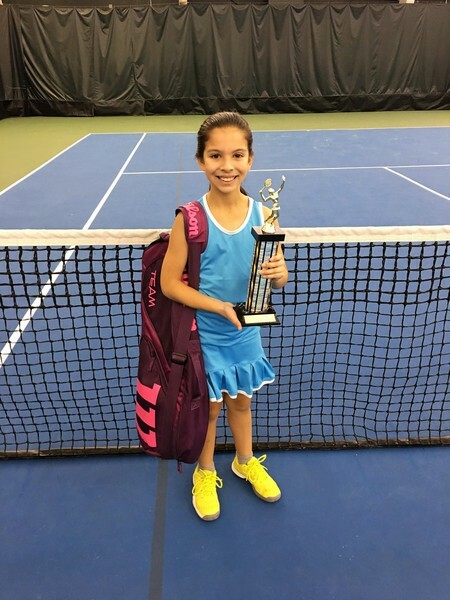 Naperville Tennis Club another USTA Junior Team Tennis extravaganza on February 5-6. 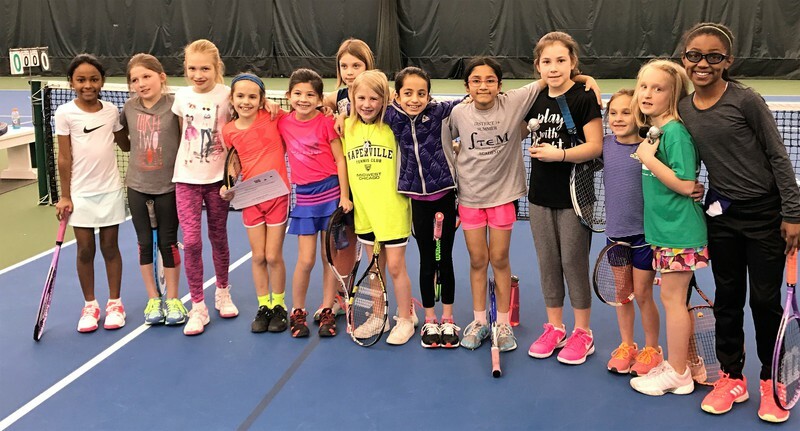 Our 12 and Under Lightning Team visited Wheaton Sport Center for a February 5 match. We hosted over 50 players in many different divisions. (this 18s Intermediate team went undefeated for the season....Congrats to all players.....good luck to boys in their high school season). 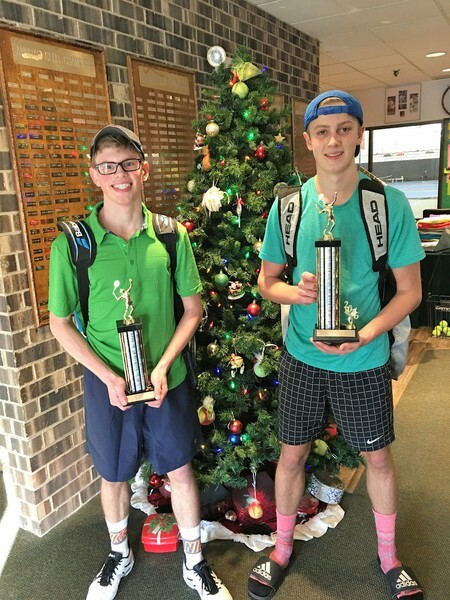 Friday 2/12 our 18 and Under Advanced Team visits South Barrington Tennis Club for our last match of the season. We play Chicago Midtwon, South Barrington and Wheaton Sport Center. Good luck to this team! 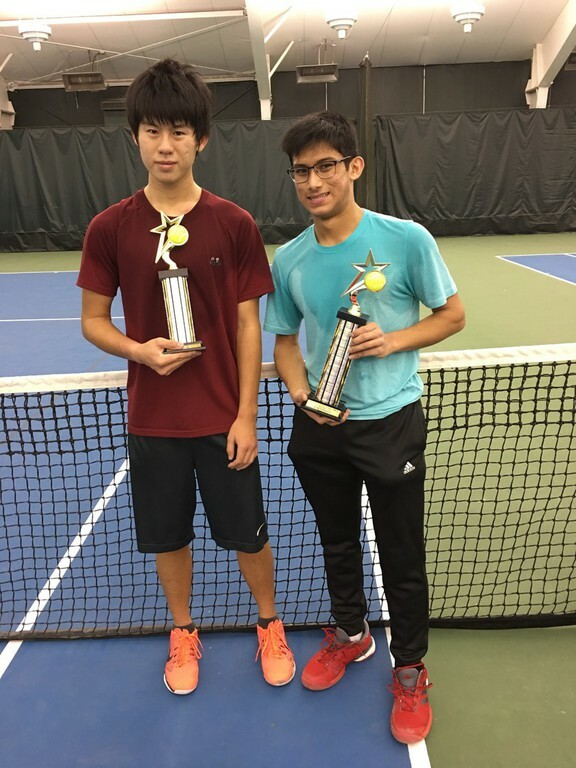 On Friday, January 29, 2016, the NTC held its Annual Club Championship - High School Boys Tournament, open to any NTC Junior member who is currently in high school (freshman through senior year). There were 16 boys who entered the event. 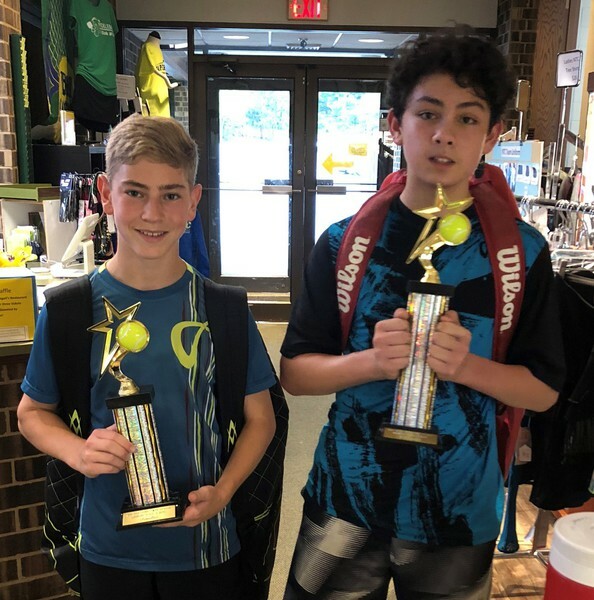 In the Championship Playoff Flight (vying for 1st/2nd place of the overall event), Alex Zhao beat Scott Carlson 6-0 in one semifinal and Will Johnson beat Marc Gozali 6-3 in the other semifinal. 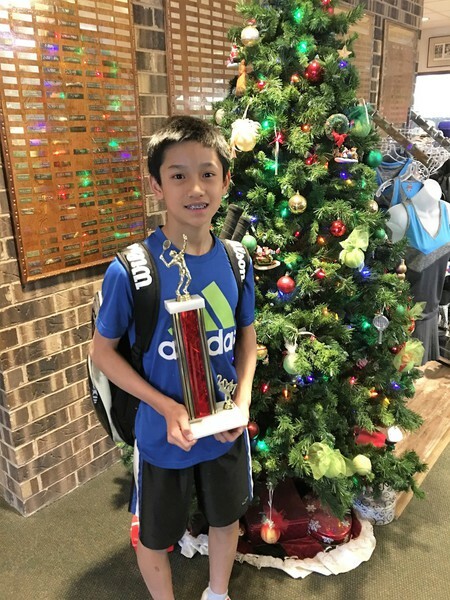 In the championship match, Alex Zhao beat Will Johnson 6-1 to win the event! In the consolation final, Scott Carlson beat Marc Gozali 7-6(7). All of the boys played a lot of tennis, with each playing 18 total games and then each playing 2 sets in the Playoff Stage. Many parents were also there, watching their sons compete and having a fun night of tennis! 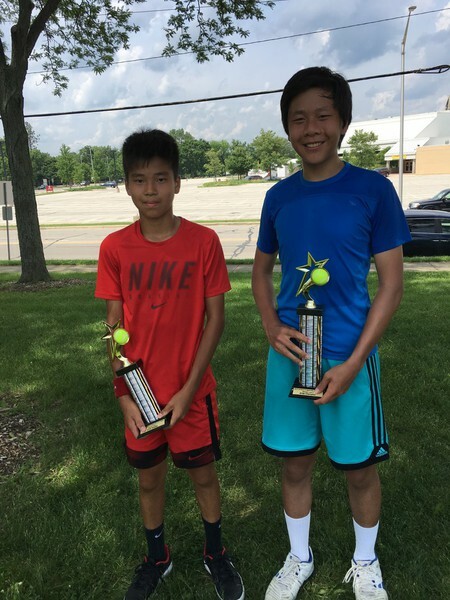 Congratulations to Alex Zhao for winning the event and Will Johnson for being the runner-up, and to all of the boys for coming out to play a full evening of tennis! 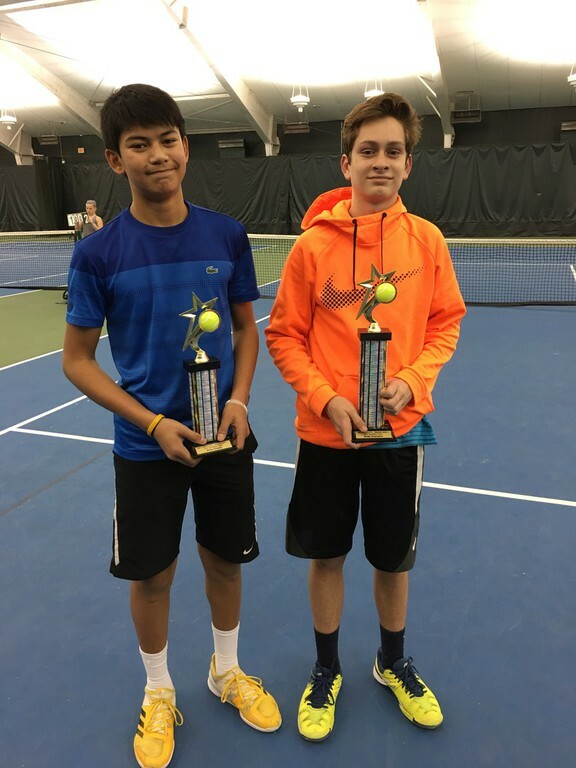 Naperville Tennis Club hosted their 1st USTA Green and Orange Ball Progression tournament of 2016 this past weekend, January 22-25. Nearly 50 children from the Midwest competed in the events. NTC will be holding one Orange/Green Progression Tournament per month in 2016. NTC held 3 great 10U tourneys. Ed Boman of Stewart Keator Kessberger & Lederer Inc.
And thank you to our many participants for this great event!! 10U Advanced Team WINS Midwest Sectional Championship! 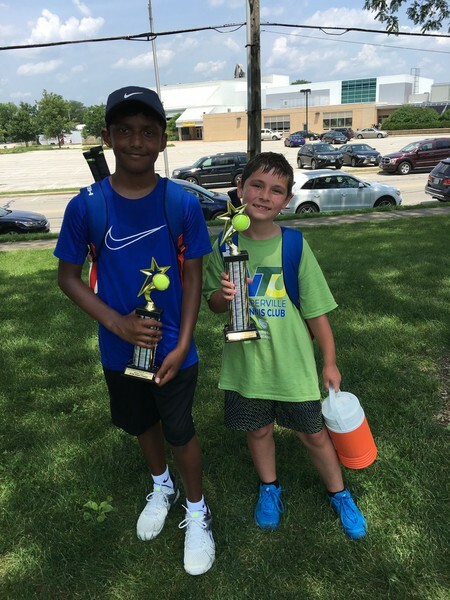 Naperville Tennis Club 10U Advanced Team WINS Midwest Sectional Championship! In the finals, they defeated a team from West Bloomfield, Michigan. The team is coached by NTC's 10U Specialist, Barb Rueth. 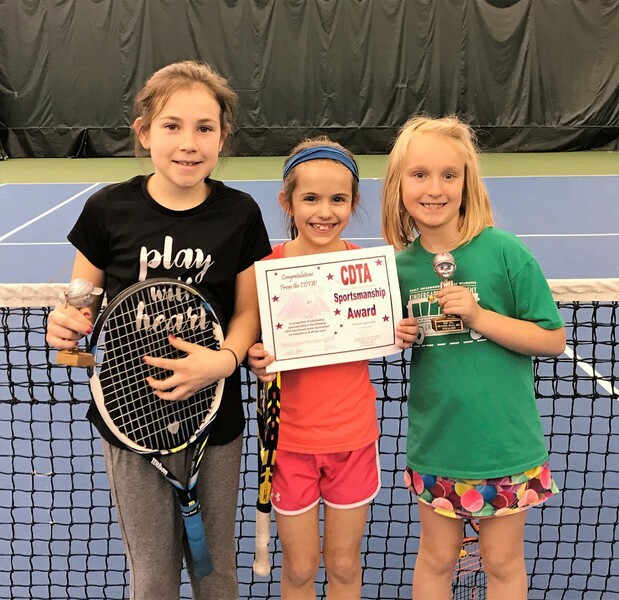 The 225 3rd-5th graders had a great experience and fun exposure to tennis.....in addition to all the Scott Elemenatary fun-filled Field Days activities. 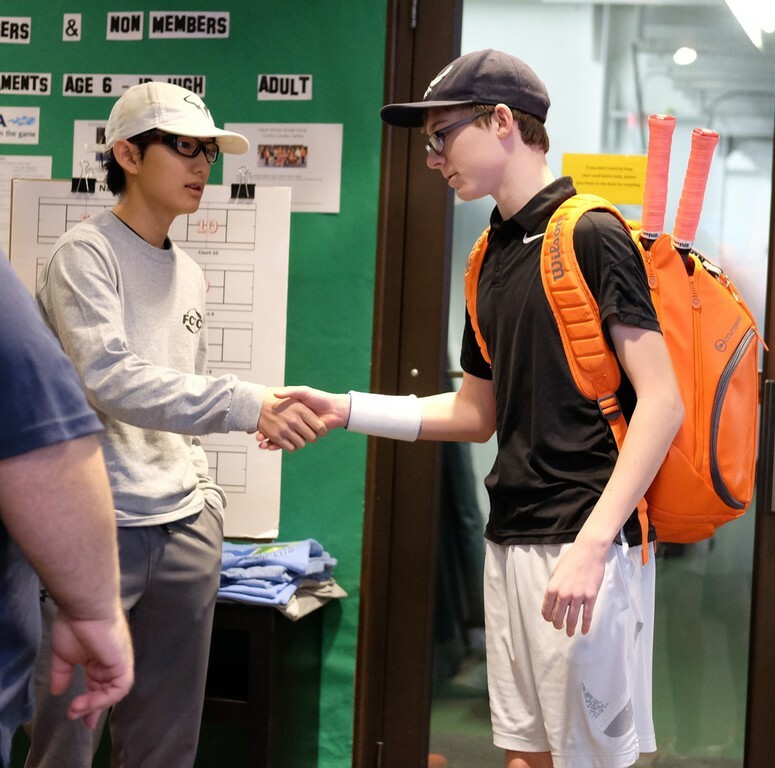 NTC hopes to further integrate tennis into other District 203 schools. 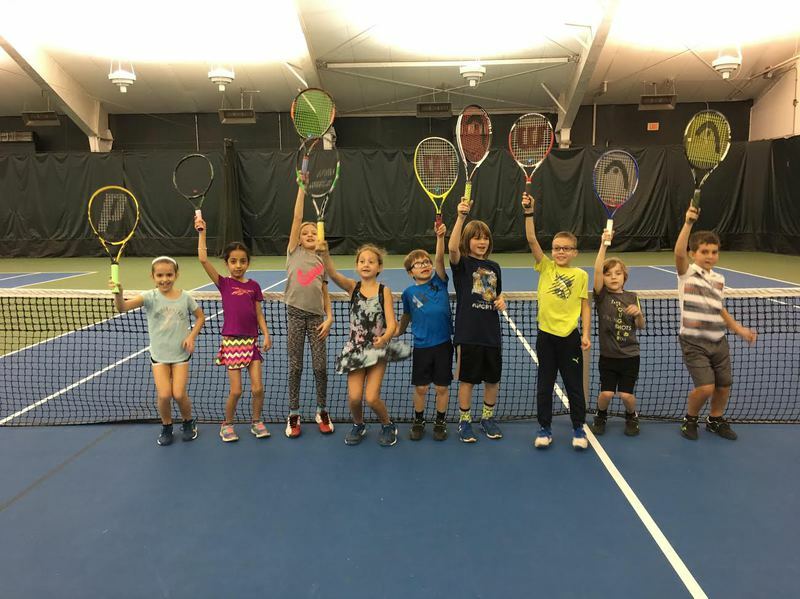 In December, NTC also ran a tennis unit as part of Scott's PE curriculum. Thanks for Mrs. Kayla Wagner, the awesome PE teacher at Scott, for inviting NTC! The players agreed that the format was fun as they were able to sub in and out during the four rounds. The next team tennis event will be on March 20th. Please call or email the club to sign-up for these really fun events! 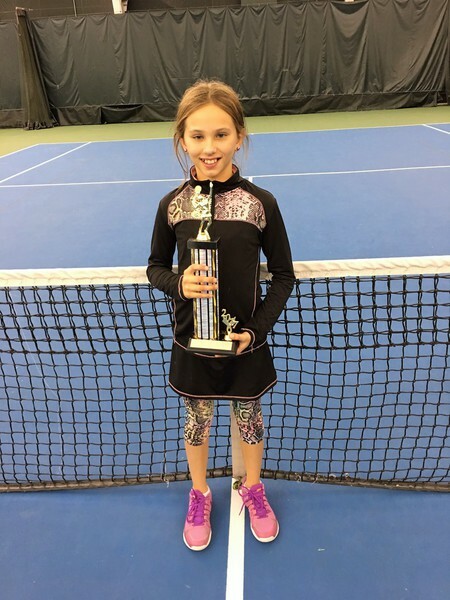 2/13 and 2/15 iCompete Tennis League for Juniors hosted several events at NTC. 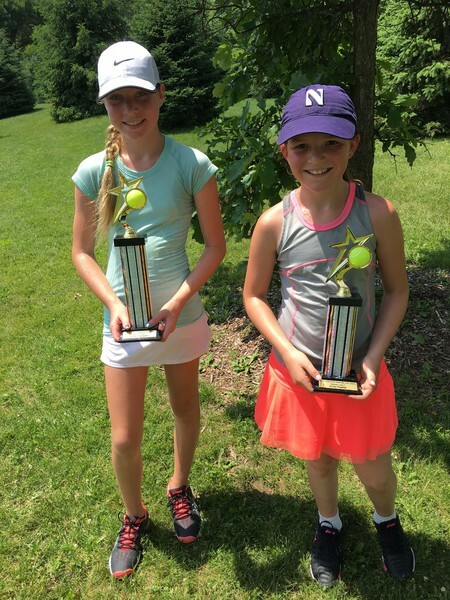 On the 13th the B15, Girl's Open and Boy's Open all had events at NTC. 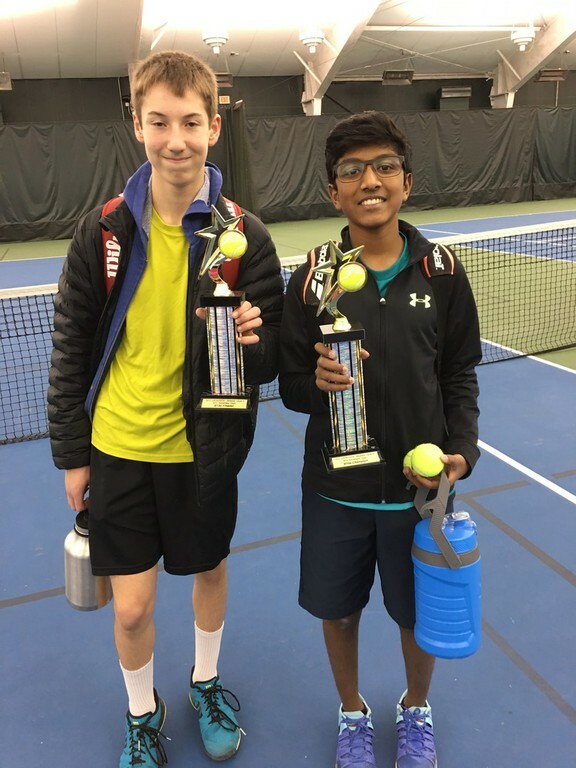 In the B15's Abinav G. was the finalist and Natahn P. was the Champion. 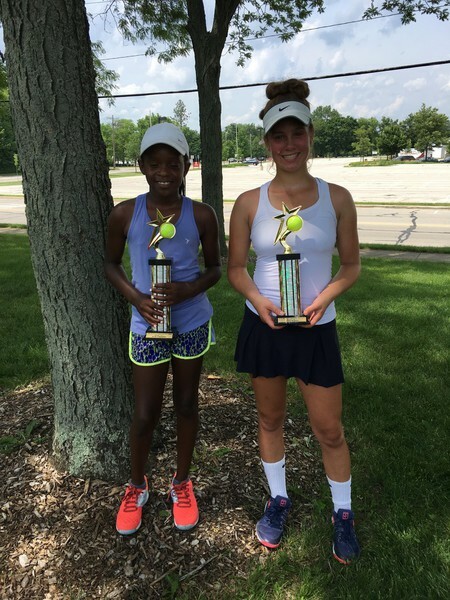 In the Girl's Open Ana P. was a the finalist and Pooja A. was the Champion. 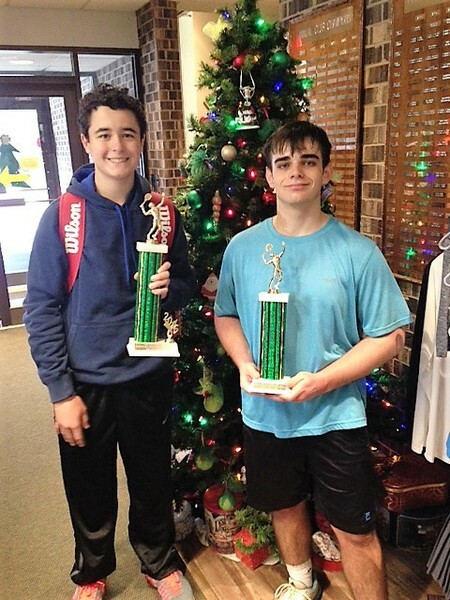 In teh Boy's Open, Ryan H. was the finalist and Jonathan B. was the Champion. 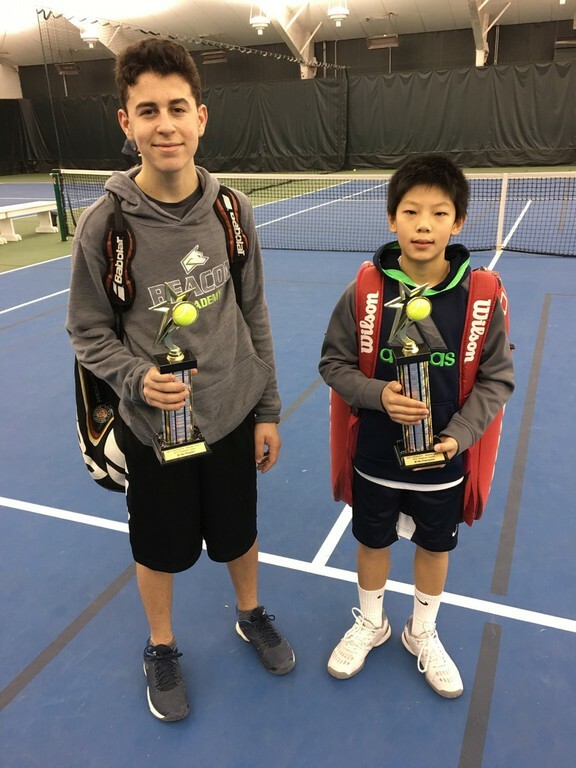 On 2/15 the 10's Green and the 12's had events at NTC. 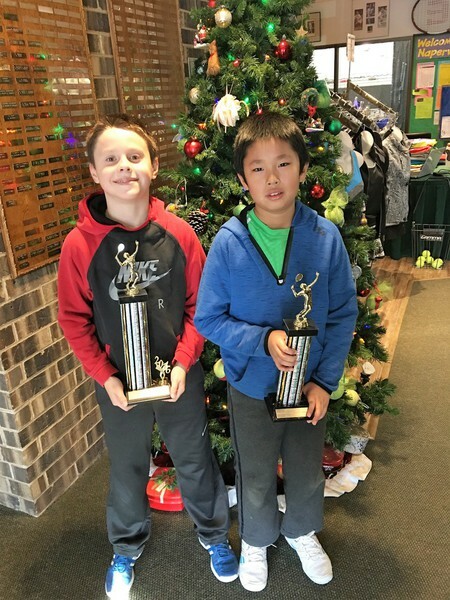 In the 10's Green Daniel W. was the finalist and Luke F. was the Champion. 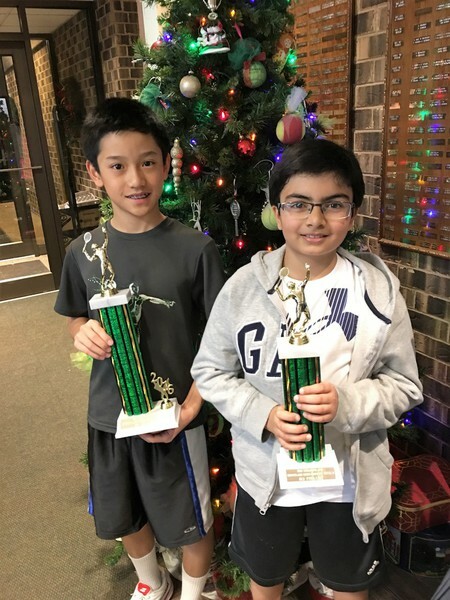 In the 12's Visagan S. was the finalist and Sivaayan S. was the Champion. On December 16th we hosted over 30 people for open play to benefit the Hesed House. Players brought a donation and were able to enjoy 2 hours of doubles play! Thank you for your donations and for making this event a huge success for a great organization! !